Radiant tube heating systems work similar to traditional brooder heaters, but provide larger areas of heating coverage at varying intensities, allowing poultry to adjust their position to remain most comfortable at all times. 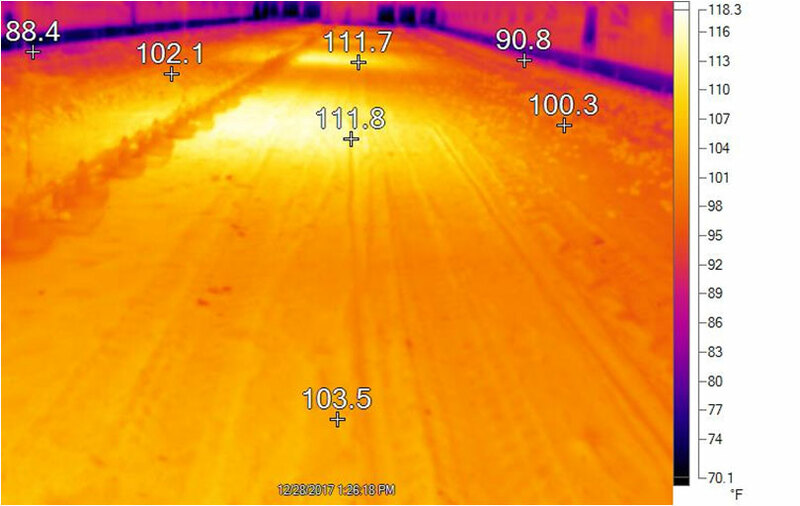 Radiant heaters emit heat toward the litter flooring, efficiently warming while saving fuel and reducing maintenance. 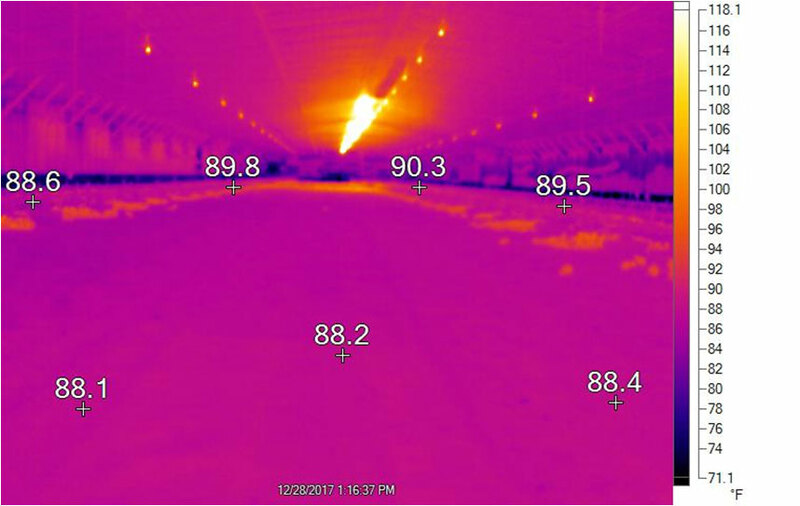 Radiant tube heaters pull fresh air for combustion from outside the poultry barn, reducing maintenance and performance issues that can be caused by dust and other air contaminants. Hung from the barn’s ceiling; radiant tube heaters do not have to be adjusted up and down during grow-out, reducing labor and chances for the heaters to be damaged. 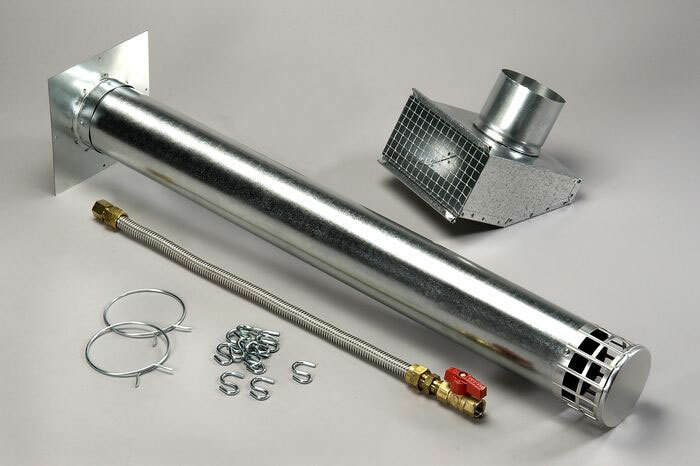 All radiant tube heaters feature Direct Spark Ignition (DSI) and are available in single-stage and two-stage options in both Propane (LP) and Natural Gas (NG) models. Big Foot®, Fusion™ and GroTUBE radiant tube heaters are CSA certified. 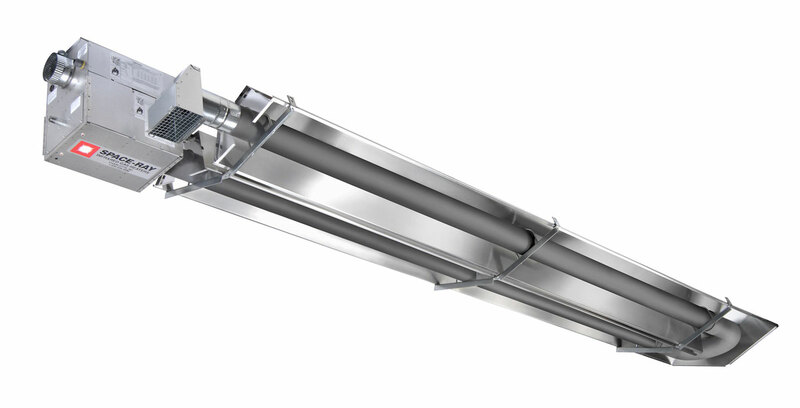 The Big Foot® heater is an energy efficient, push-through radiant tube system that is mounted from the ceiling in poultry houses. Big Foot heaters feature two emitter tubes with a U-shaped connector and highly efficient aluminum reflectors mounted at a 19° optimized angle that produces an extra-wide, uniform rectangular shaped heat distribution pattern on the floor. This rectangular pattern conforms to the shape of a poultry house, providing complete comfort across the floor. 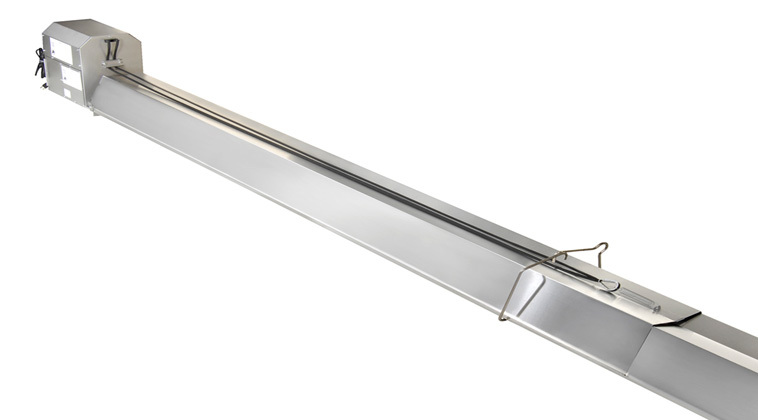 Big Foot® heaters feature two parallel emitter tubes with a U-shaped connector. The aluminum reflector covers are mounted at a 19 degree angle to distribute heat toward the floor in a rectangular shape for even coverage. 4” diameter, 16 gauge calorized aluminized steel tubes are corrosion resistant, create a large radiant surface and provide a better radiant throw to emit heat over a wide area. 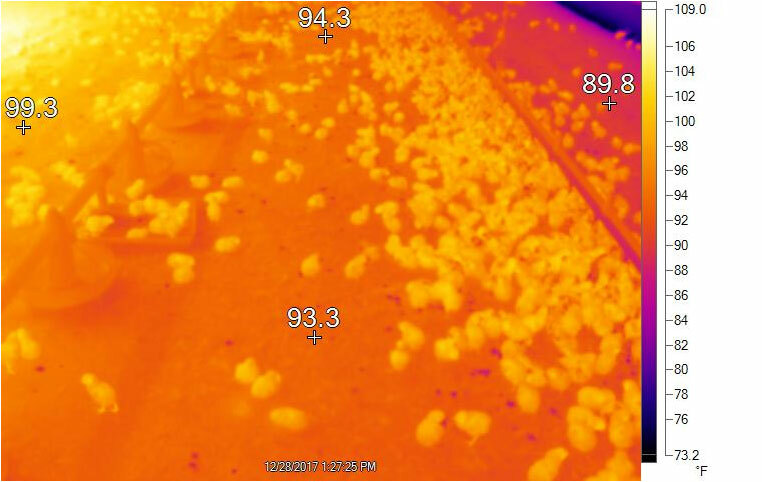 Wide heating coverage provides birds with comfortable access to feed and water across the brood area. Unique U-bend reflector improves heat throw from the end of the Big Foot unit. Unit includes a fresh air intake kit, exhaust hood, stainless steel flexible gas connector and a pre-wired electrical connection. Each unit is pre-assembled for easy installation. Includes TISS (Tube Integrity Safety System), designed to automatically shut-off the heater in the unlikely event of a tube failure. Unique external diagnostic monitoring lights show when a heater is operating correctly and assists with troubleshooting diagnosis. Totally enclosed burner box with a heavy-duty cast iron burner and totally enclosed blower assembly. Available in tube lengths of 15’ or 20’ and input ratings from 60,000 to 90,000 BTU/hr. 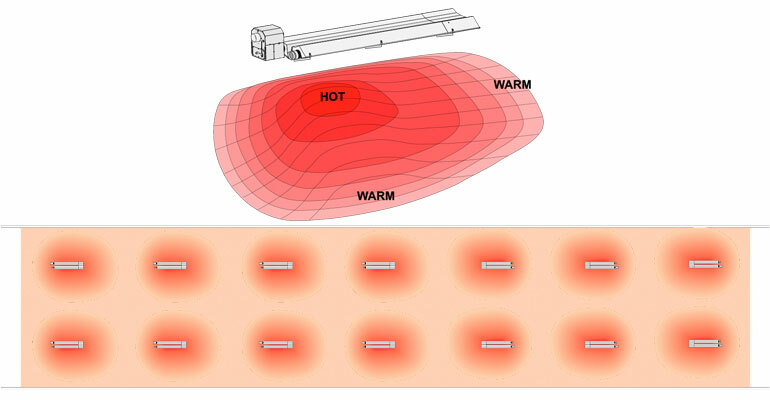 The Fusion radiant tube brooder heater produces a rectangular shaped heat footprint that is only 1’ narrower than the Big Foot heater, but twice as long at 20’ in length, matching the heat footprint of other hybrid brooders on the market today. The Fusion heater features heavy-duty wire hangers, aluminum deep-dish reflector, tube support brackets and compression tube couplings. 4” diameter calorized aluminized steel emitter tubes provide exceptional corrosion resistance and superior radiant heat emissivity. Phosphor bronze spade terminals on the wiring harness provide superior resistance to ammonia. 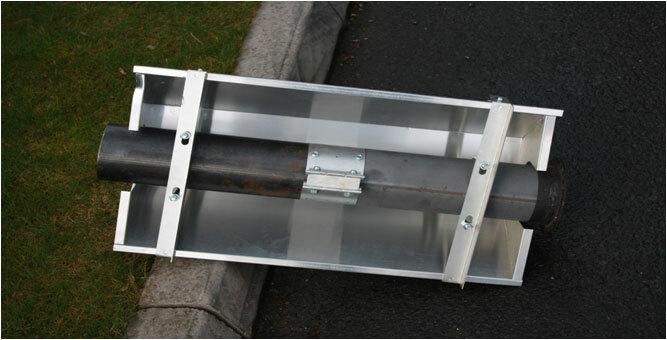 Available with a traditional galvanized burner box or stainless steel. Includes a Poultry Tube Heater Accessories Kit. 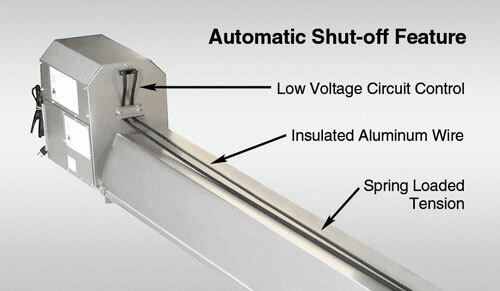 Available in 15’ or 20’ lengths with 60,000; 70,000 or 80,000 BTU/hr inputs. 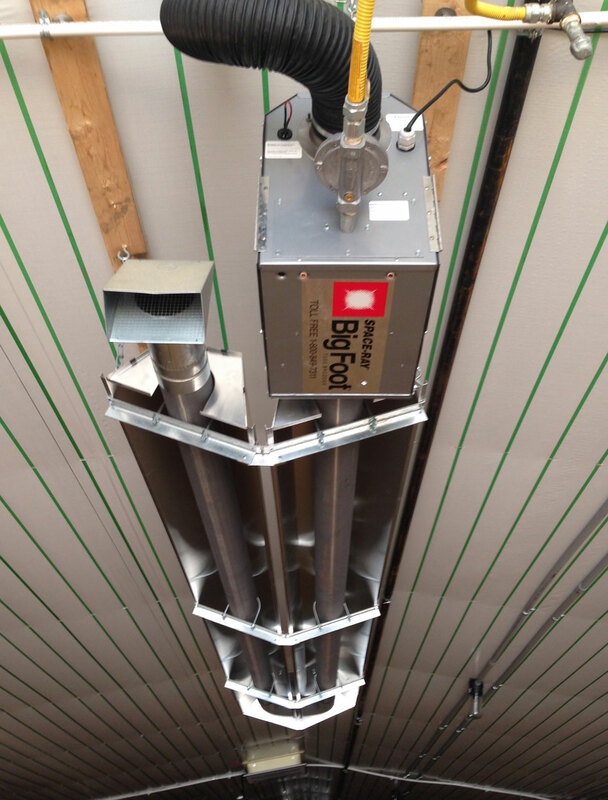 Optional Cold Air Stopper™ prevents cold or hot air from entering the poultry house when heaters are not in operation, significantly reducing problems with emitter tubes sweating. The GroTUBE heater is an energy efficient, push-through radiant tube system that is mounted from the ceiling in poultry houses. 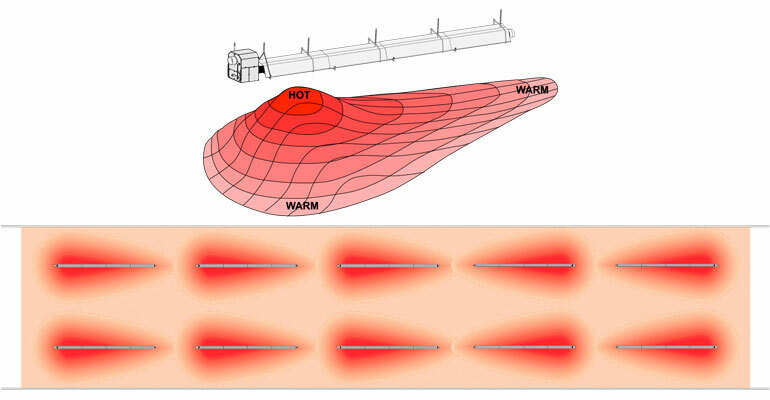 GroTUBE heaters consist of a single emitter tube that produces a pear shaped heat distribution pattern. The highest floor temperatures are located directly under the first tube attached to the burner box. Farther down the tube, floor temperatures further away from the burner box are lower, allowing birds to adjust their position under the heater to remain comfortable. The GroTUBE heater emits radiant heat toward the floor in a pear shaped pattern, providing a range of litter temperatures to maintain poultry comfort. Emitter tubes are constructed of calorized aluminized steel that provides increased corrosion resistance and greater radiant heat output. Heavy-duty cast iron burners provide years of reliable service. Available in tube lengths from 20’ to 60’ and input ratings from 75,000 to 150,000 BTU/hr. TISS™ (Tube Integrity Safety System) is an innovative safety system designed to shut-off the heater in the unlikely event of a tube failure. The calorization process provides unsurpassed corrosion resistance to ferrous metal by providing a self-forming, self-healing coating of practically infusible alumina which is impervious to oxygen, carbon, sulphur and the products of combustion of natural and liquefied propane gas. Aluminized tubing (right) provides superior corrosion resistance, higher operating temperatures, increased surface emissivity and greater life expectancy than raw rolled steel tubing alone. 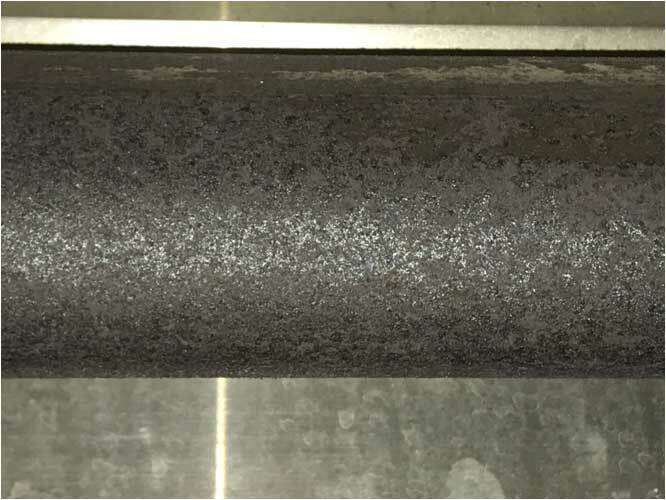 Higher Operating Temperatures: This protective coating of the homogeneous alloy (Fe-Al) can withstand higher operating temperatures than other conventional tube materials (as certified by Armco Research and Technology Laboratories). The maximum operating emitter tube temperature is 1250°F. Higher Surface Emissivity: An additional benefit of the calorization process is a greatly enhanced external surface emissivity as well as improved internal surface absorptivity. During the calorization process, the surface morphology changes into a very rough and irregular surface, on a microscopic scale. The measured emissivity varies from 0.80 to 0.86 depending on the emitter tube surface temperature. The dark homogenous Fe-Al layer also produces a very absorptive interior tube surface which is highly desirable from a heat transfer efficiency standpoint. Increased Life Expectancy: The life expectancy of calorized-aluminized steel tubes is 27 years. Some users report an average emitter life of over 27 years, even in an 11,000 degree day operating environment.